Why won't Stephen Ledberg's family tell him the truth about his biological parents? Why do they try to dissuade him from going to work for a newspaper in Pennsylvania? Perhaps it’s because the newspaper publisher is his biological father? Stephen Ledberg's search begins in America, takes him to Africa, and then home. Along the way he meets a one-armed caddy, an alcoholic school teacher, a young Indian woman with whom he falls in love, and a Jewish hotel owner in the middle of Africa. How did he get there, where is he going and why? Throw in a fig tree, tootsie rolls, coconuts, latakia, bubble gum, golf balls, and a cauldron filled with adventure. Will Stephen Ledberg finally discover the truth? 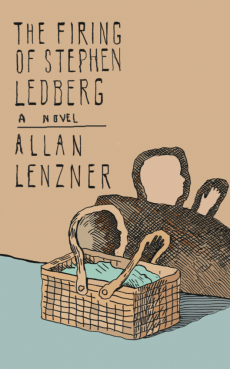 Since the age of twelve, Allan Lenzner has created fiction. He has filing cabinets with short stories, plays, abandoned novels and essays. This bounty of fiction has followed him wherever he has lived, from New York to California, Washington D.C. and Tanzania, Uganda and Kenya, he has always brought stories, a few sets of clothes, a notepad for ideas and a typewriter throughout the world. He has lived in Manhattan beside the Hudson River since 1972. The Firing of Stephen Ledberg is his first published novel.